Pack-n-Go-Girls | Pack-n-Go Girls Take You There! LET'S INSPIRE OUR GIRLS TO TAKE IT ON. Travel the world today – no passport required. I wanted to thank you for coming and talking to us at writers week. It's really inspiring to me that you bring diversity to the table. It's really important to teach kids that it's ok to be different and that you should embrace yourself, your culture, and your gender. I think your books are beautifully written and are so important for children. Lisa's presentation to our high school students was fantastic! She engaged them from start to finish with hands-on sensory imagery activities as she explained the Pack-n-Go Girls writing process. I highly recommend Lisa and the Pack-n-Go Girls team for engaging students of all ages! 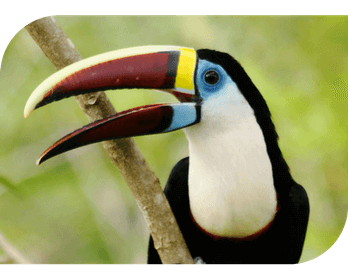 Lisa writes with such imagery you feel you’re in the rainforest as the girls experience various animals, plants, food and even the Portuguese language. 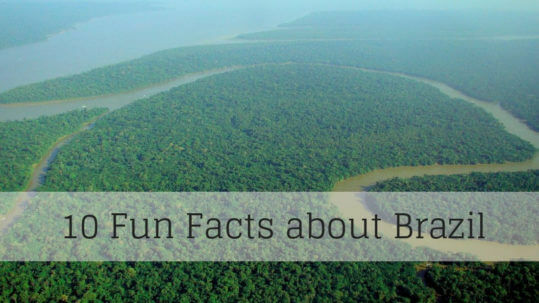 Reading the story made us want to read more about Brazil and get on an airplane to experience it all ourselves! 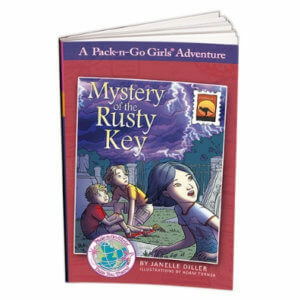 Mystery of the Golden Temple is a part of the Pack-n-Go Girls Adventure Series, it embraces the idea of the “global girl” and the power of celebrating differences. While reading and researching the Pack-n-Go Girls series, I am reminded of Nancy Drew, the Ramona books by Beverly Cleary, and The Babysitters Club books wrapped into one. There is a sense of empowerment when girls are getting the job done! I am one of those girls that felt empowered when I read books similar to this one and the ones listed. Thank you, Janelle Diller, Lisa Travis, and illustrator Adam Turner for helping young readers understand that culture and learning about different places is important and cool! An enjoyable book. The main character is a girl, Nong May, and she uses some of her Thai language throughout the book which is really cool to see and read. She and her American friend, Jess, solve a mystery about a special family treasure. Lots of action, lots of fun through the book. The writing is simple; but that allows the eagerness and determination of the girls to be the focal point in solving the mystery. Lisa Travis wrote her girls as strong, active, spunky, and tenacious. I would definitely recommend this book and series to girls. When I was a young girl, I loved learning about history through the American Girl books. I loved how facts and other cultures were blended in a story. Mystery of the Min Min Lights brought back that nostalgia, but instead of teaching history we’re looking at contemporary characters that are relatable and learning about their culture. If you are looking for a light and fun intermediate book, this is a great read! Our students loved having author, Lisa Travis, come to our school. Her presentation was so engaging the students couldn't wait to go back to their classes and write. The day after her presentation, students were coming to the library asking for her books. This is a perfect book for young readers who want to learn more about different countries and cultures. I learned several new things about the country of Austria while I was reading. This is the first in a series that follows Brooke and her new friend Eva. The mystery in this story is perfect for beginning readers . . . the illustrations are well drawn and bring the details of the story to life. At the end of the book there is a section of facts about the country of Austria. I loved the recipe and the German words that readers could learn. Overall, I will be highly recommending this book to readers. I love how these books take diverse kids and have them explore a new country with a new friend in the country. There is always a mystery to solve and and adventure to be on. This one is a fun adventure in a place we would love to explore. Mystery of the Min Min Lights is the ninth book from Pack-n-Go Girls, the chapter books that take girls around the world on incredible adventures! (I should add that my son adores these books, so they aren’t just for girls!) As always, readers will learn about a new part of the world, as facts are woven naturally into the story. I love that the main character (the non-Australian character who is having an adventure in Australia) is Chinese American. Usually the “normal” character is a white Westerner, so this is a great change and adds another layer of complexity and richness to this wonderful tale. Lisa skillfully taught sixty third graders the importance of using their five senses to make writing come alive. It was impressive to look around and see every child excited and involved in her writing activities. It was age appropriate and met the needs of many learning styles! She even made a non-writer in my class write without an argument! 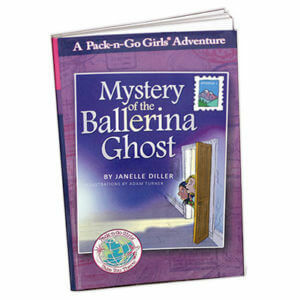 A great addition to the Pack-n-Go Girls mystery books!!! I got this for my 7 year old granddaughter and she loves it! Mystery of the Min Min Lights is a fantastic chapter book for kids who love to travel and/or read about other countries and cultures. It broadens horizons without being didactic and fosters compassion and understanding of others without being preachy — exactly the kind of book we need more of today. I loved how the book helped my 7-year old travel without leaving home. The best part is when she added Amazon Rainforest to her list of must visit places. The author’s description of the Amazon Rainforests gets a big thumbs-up. 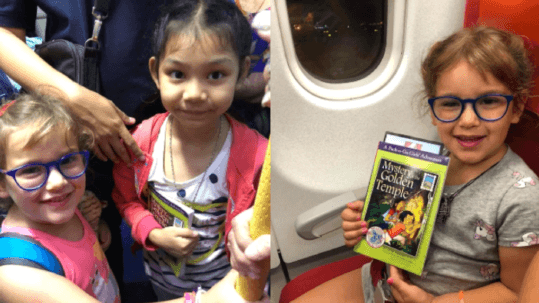 When a book inspires a child to travel, I think the purpose is served. Also, I really liked how the protagonist Sophia is portrayed as a strong, brave problem-solver. No cheesy, sparkly similes and metaphors in this book. My daughter wants to read the other books in the series. Again another win. The book is fast paced and full of adventure, with very age-appropriate subject matters. I love how the author gives us the point of view of a child who is afraid of change, and what she does to learn and interact with a new culture and environment. The characters are fun and distinctive, the illustrations that accompany the book are a great way to peek into Lizzy and Patti’s world. Mexico’s description is full of color, flavors and pretty true to Mexican hospitality. My 8-year-old daughter read the entire book in two afternoons and have been asking for more books from the series. Some of the main reasons I really like this series: Short, quick paced mysteries that draw the reader in almost immediately; familiar, repeated formula (one country, two girls, one mystery) helps readers jump easily from one book in the series to another; the stories include a girl traveling from the US (allowing the reader to place him/herself into the story) but also include a native resident to help get beyond just a "tourist" view of the country and culture; each book includes extension activities: country facts, recipe, language phrases, even a journal section! The bottom line is Mystery of the Thief in the Night is an excellent book that is spot on for girls who are 6-9 years old. I’d even extend the age range a bit. My oldest daughter is actually 10 and she snatched up the book and read it before I even opened it. There is so much to love about this innovative series! The characters are very diverse, the books are set around the world, and the adventures are just plain fun! After all, what kid wouldn’t want to read about a ballerina ghost in a spooky castle in Austria, or search for a lost Golden Temple in the jungles of Thailand? I love that the voices of the young narrators are so authentic, making the characters very easy for young readers to relate to. Teachers interested in using this series in their classroom will want to sign up for free teaching resources. These books are ideal for students reading at an end-of-year second grade/early third grade level. In the back of the books there is extra nonfiction information that could be utilized in the classroom. Mystery of the Golden Temple is an adorable story that would appeal to many young readers—not just girls! Both girls and boys would enjoy reading about friendship, cultural diversity, geography, and teamwork. Children of all ages would enjoy this book. It has a high interest level. For teachers who may be interested in reading this book with their students, this would be a good read aloud for young readers and a good book for second and third grade reading groups. Ms. Diller uses her story to share the culture and traditions of Mexico, interspersed with Spanish phrases and words, and to paint a very clear picture of what is takes to make new friends, to trust others and oneself, to be brave and to be honest. Her characters are multidimensional and they are bright, sensitive and true-to-life. This book is smart, well written and fun to read and I would recommend it to all children. It is a fun, thrilling adventure with great, strong female characters. There are so many lessons about traveling as well as about the Thai culture built into the story. Readers do not even realize the book is educational though as it is just fun and when finishing a chapter the reader wants to read the next one. I was begged many a night for another chapter and I must admit I found it hard to say no most nights. 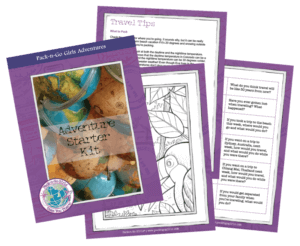 The Pack-n-Go Girls book series is a great addition to our reading list because they inspire girls to be adventurers. Mystery of the Golden Temple inspired LouLou to add Thailand (Chiang Mai in particular) to the list of countries she wants to travel to. Thailand is a country full of traditions and customs very different to that of the US. The book does a great job explaining all these cultural differences in a way that was easy for LouLou to understand. The story does a great job of including culturally-specific details about Thailand and the Thais language in a way that is engaging and relevant to the story. I really appreciated the diversity-focus of the book. This is a great series to get girls interested in travel and exploring other countries. It is a great fit for the emerging reader looking to move up from young fiction or easy readers into longer middle grade fiction. I will definitely be picking up more of these for my classroom! If you have children that crave adventure, they will love all the books of the Pack N Go Girls Series. All the books are great additions to a family holiday to any of the featured locations; Austria, Mexico or Thailand. Even if there are no travel plans, the books are full of great adventures to have at home. These should be part of Primary School Reading Lists for classes like Geography or History, even Language Arts. In a world of Bratz, Barbies, and Princesses, this series offers girls role models that are adventurous and curious problem solvers. Filled with fascinating information about the language, traditions and food of Thailand this is much more than a mystery story. Jess is immersed in the Thai culture and embraces the opportunity to learn about Nong May's corner of the world. A story for young girls everywhere that will inspire them to be thoughtful, independent, open minded, and intelligent girls just like Jess and Nong May. I think we’ve found a new favorite. My 6 year-old and I sat down to read one of the Pach-n-Go Girls Adventures—Mystery of the Troubled Toucan—and when I was called away for other mama duties he just kept on reading it by himself. If that isn’t the seal of approval then I don’t know what is. The book is set in the wonderful setting of Schloss Mueller (Castle Mueller) and Malika loved imagining what it would be like to live in the Castle with Brooke and Eva and of course the mysterious Ballerina Ghost. We loved the effortless way the book compared the differences between buildings in Colorado and Austria, the amazing Austrian foods and cafe life in Austria. “The Mystery of the Ballerina Ghost” offers an appealing invitation to celebrate and explore diverse cultures and countries with just a tantalizing touch of mysterious spice, the unknown horizon to entice further exploration and growth. 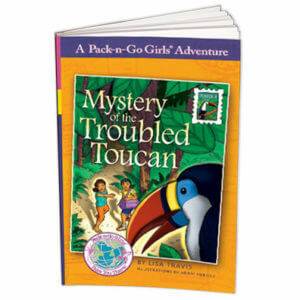 Pack-n-Go Girls presents a mystery series for girls ages 6-9 that includes travel to exotic locations, fun adventures with true blue friends, exploring new languages and cultures, and solving thrilling mysteries together, a fantastic formula for fun and travel-enriched adventure. "Thank you for coming into our class and teaching us about writing. The part I enjoyed the most was the chocolate. You have inspired me to write my own book. When I grow up, I want to be an author of a book series like you!" "We are grateful for your presence today. it is a special time for our children and we are grateful for your partnership." Discover the world with Pack-n-Go Girls. Learn more about each of the countries our Pack-n-Go Girls have visited. Start out with Australia, Mexico, and Brazil. Don’t miss Wendy’s tour of the Australian outback. And she’s put together a list of cool things to explore – like the didgeridoo, tree houses, and the school of the air. 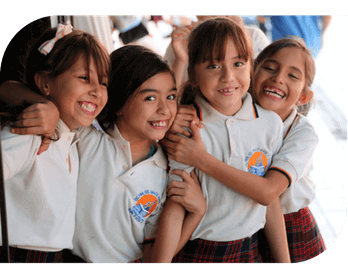 Check out some photos Izzy took on her recent trip to Barra de Navidad. Discover Mexican songs, dances, interesting facts, travel tips, and more! Explore Sophia’s pictures from her trips to Brazil. Plus, learn some Portuguese, listen to the Amazon at night, and watch some cool sea turtle videos. We’re on an adventure to inspire girls to discover the world. To be curious. To be independent. To value what unites us. And to celebrate the differences that make us unique. The world is waiting. Let’s inspire girls everywhere to take it on. We’ll send you a free Adventure Starter Kit to start exploring the world today. Plus, you’ll continue to get more free learning activities, crafts, recipes, and the latest news from Pack-n-Go Girls. Are you in? You must be 18 years old to sign up. 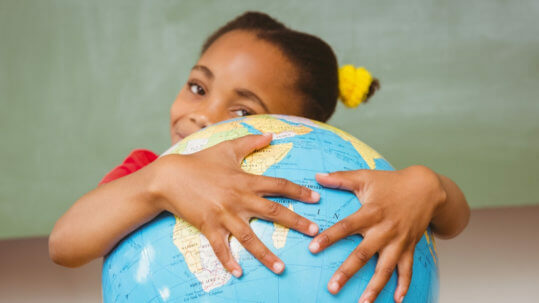 We’ve got plenty of resources to help on your journey to raise a global citizen. 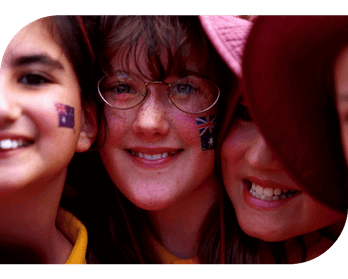 Learn more about each country the Pack-n-Go Girls visit with our free learning activities. Our books are Lexile and F&P rated so you can match them with each child's reading level. Book quizzes can be found in Sylvan's Book Adventure and are also available upon request. By train, plane, or car, check out our tips to make it easier to travel with your Pack-n-Go Girl. Interested in author visits or book signings? We're experienced speakers and ready to engage kids in reading, writing, and the world. You can find Pack-n-Go Girls at Follett/Title Wave, Mackin, and from your online or local retailer. For bulk orders, contact us. We’re dreamers and storytellers and we want to change the world. We started as friends and became a team because we want more for little girls. We want them to be dreamers and storytellers, too. We want them to believe in themselves and to have courage, to be curious and adventuresome. Since we can’t knock on every little girl’s door personally, writing books seems to be a sensible alternative. Discover activities, recipes, crafts, news, and more from Pack-n-Go Girls.